Nope - not happening. Not showing you lot an ugly grumpy photo. Just imagine it. You're all teachers, imagination is your middle name!! Ok - back to why I'm such a dork... Well you lot, yes all you lucky American's, living in the country of my dreams, teaching fun little American kids all the fun American things - you lot started school in August right? (ok so some of you started in September, same difference!) 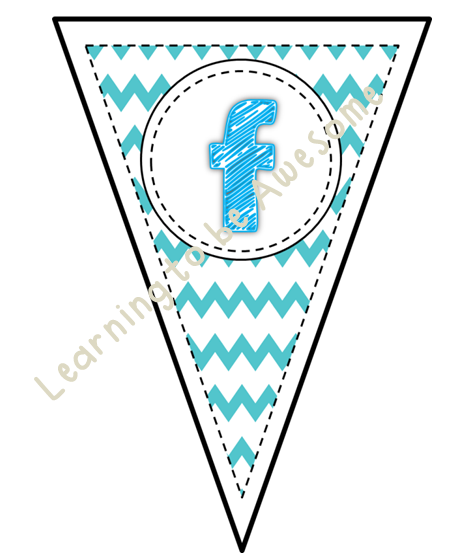 And as a good teacher, I pinned on pinterest, liked on Facebook/bloglovin, and saved away some AMAZINGLY AWESOME!!!! ideas to use when this week happened. Yup this is the week before school starts. And can I find any of those AMAZINGLY AWESOME ideas that I pinned, liked, and saved? Uh nuh! ARGH!!! So now I'm trying to remember if what I am thinking of is real, or if I made it up! 3 - morning work ideas/products for the same. AND my pin it to win it winner is.... number 5 (Susan K!!) I will be emailing you straight after this post :) (I'd show you the picture of the random number generator, but I can't figure out why it's not showing... Blogger doesn't like me either apparently! Thanks for playing along people. Today is Saturday. I nearly didn't see Saturday this week. As you can tell from my title, I nearly died this week. As you can also probably tell from my title, that isn't exactly true! It all started on a peaceful Friday afternoon. I was putting fabric and ribbon on my walls (more about that later) when all of a sudden, out of no where, a ream of black card attacked me and cut my finger open!! Ok so it wasn't peaceful, but the rest of the story is true! I got the WORST paper cut on my thumb yesterday. I wont show you a pic, because this is a G rated blog, and well, blood and guts are gross. But really, think 10 pieces of thick card, all slicing down the side of your thumbnail, and you have the worst papercut known to man. It bled everywhere and kept me awake most of the night with throbbing pain!! 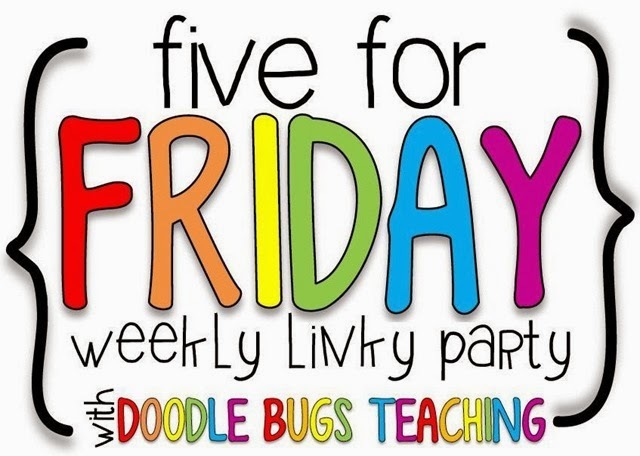 I don't actually have any other wild exaggerations, but I will make up 4 more, just so I can link up with Doodle Bugs 5 for Friday. 2 - I saved MILLIONS of dollars in the shops today. I went to have a look around my favourite places, and didn't buy anything!! Well that last part isn't quite true, but I did leave pretty much everything I wanted in the store! Go me. Chalk that one up to self control. I did get this super cute each bag (that I'm pretty sure will be my teacher bag this year) for a mere $7!! AWESOME. 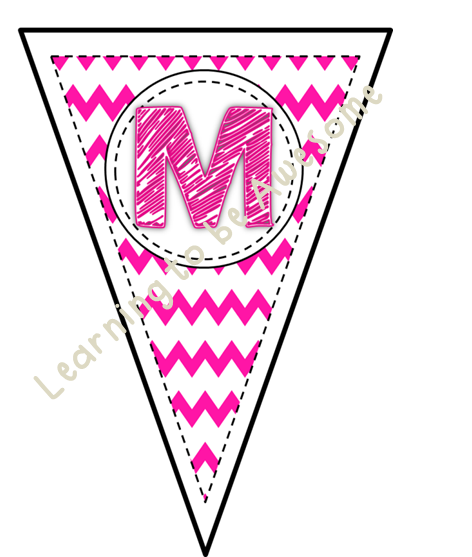 You American's have totally converted me to liking chevron by the way. 3 - My class is taking FOREVER to set up. That isn't an exaggeration. It really is. No pictures yet though, I will do a reveal post this time next week. 4 - I can't remember how to plan. Only slightly an exaggeration. 6 weeks of no planning and I feel like a beginning teacher again!! How does this work again? 5 - I have a million and one things on my to do list before school starts on the 3rd of Feb. Again, only a slight exaggeration. If anything, an understatement! Might take a nap now, my thumb is hurting again. Hopefully it doesn't fall off in my sleep!! PS - Remember to Pin it to win it - Winner chosen on Monday! I've been pretending to do school work this week... I've been in to school twice, and done about an hour of work altogether! Hmmm might need to change that tomorrow! I've moved into a new classroom this year, again, and that means I've got a whole lot of sorting and decorating to do as NOTHING could stay the same in this new room. In an attempt to make my class a fraction of how pretty all the classes I see on all of your blogs, I've made some bunting! I'm having a pin it to win it competition. There are 5 colours, and all you need to do to enter is pin the colour you like the best, then add your pin link in a comment below! This weekend is a long weekend in Auckland, so I will pick a winner (or two if I'm feeling generous) to give away! 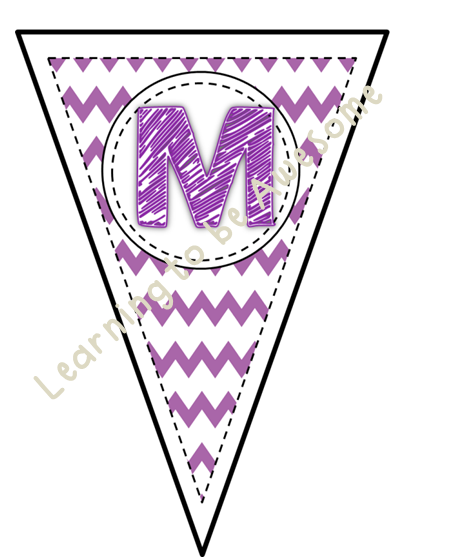 Go check them out from my TPT store. I've made it easy for you and added links to the pictures! Just click and it will take you straight there. Right, now for some before pics! Super excited about these huge bifold doors! Right - go get pinning!! So I have a to do list a mile long, as you do at the start of any school year. And I've ticked off moving my furniture! hmmm got a lot more to do! I think tomorrow I might spend it making labels... All the important things first! It doesn't seem like much, but there's a bit here! I will show you more as it comes to light! First off thanks to everyone who helped me out with my 100 followers giveaway! I hope you all followed along as many of them as you could! Here are the winners for those draws. I will be in touch with you over the next couple of days to get your prizes out to you!! Next up, I'm so excited to be linking up with one of my favourites, and one of hers to celebrate their 300 followers milestone giveaway! 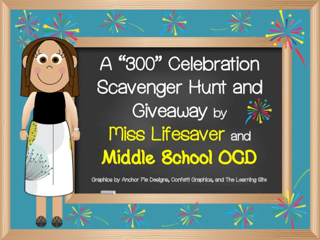 Go over and check out their blogs for the rafflecopter draws that you need! I'm going to be donating a prize pack of New Zealand goodies, both edible and stationary. You don't want to miss out on the prizes that are up for grabs!! 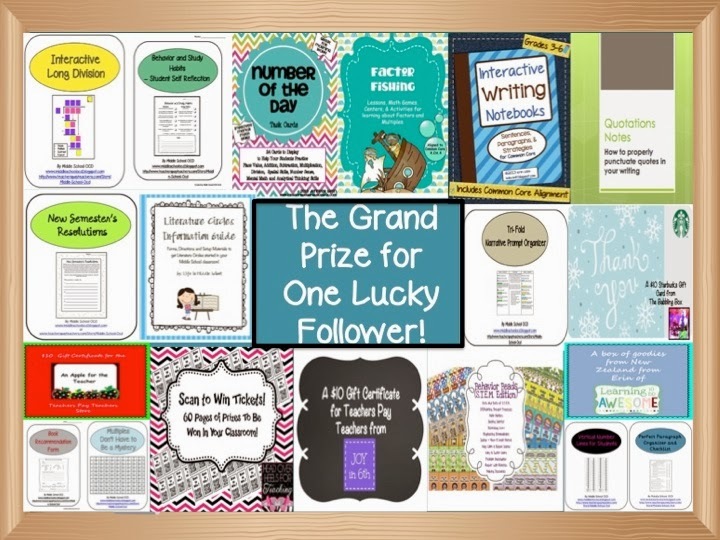 This giveaway they have going on is all about your favourite teacher. My favourite teacher was my year 8 *7th grade for you American's* teacher - Miss Halloran. She was AWESOME. Miss H taught me more about life than anyone else I had. She helped me with my confidence and really cemented my desire to be a teacher. I was an awkward kid, and didn't have many friends, but she did what she could to help me through that year, and I really appreciated her for it. There are about 4 days left before I'm heading back up to the city, and back into real life. Gotta make the most of the sun til then, so I'll catch you all later!! Not long to go now - less than 24 hours! Get your entries in to win your share of the prizes!! Hey everyone!! 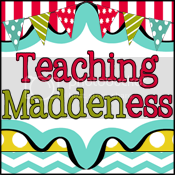 I'm so excited, today I'm featured on Amanda's blog Teaching Maddeness for her budding blogger showcase! Head on over there to see what else she has in store, because she ALWAYS has some gems!! Here's what I wrote for her! Well I am starting to see back to school posts, so I'm hoping the weather is starting to calm down for you all there!! We had thunder and lightning storms today, and then a crazy hail storm! SO the reason I'm totally nailing my resolutions is because I have just created my very first paid product on TPT! haha go me. It's a pack of 16 Valentines day hearts that I totally created all by myself! I will pick a winner from these ideas on Sunday! A few days ago now I woke up to a lovely little surprise from my wonderful blogging buddy Amanda over at His and Hers Hobbies! It was an award nomination! 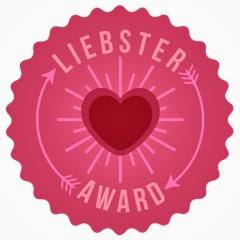 It seems that it is Liebster award time again - And I am so honoured to be nominated by them!! This award is for bloggers who have less than 200 followers. It works like this - you start by being nominated by a fellow blogger who likes what you have been posting. Then you tell 11 random facts about yourself; answer the 11 questions they have left for you; then nominate 11 bloggers yourself and give them 11 questions to answer. I always had this dream when I was little that I had an older brother too. Not true. AND here are the questions I've been asked. 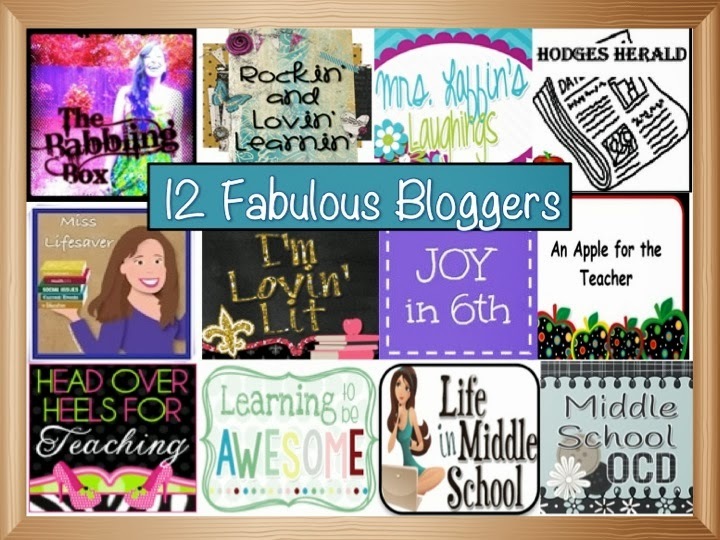 I started blogging as a way to get my kids more excited about writing. And to give them an authentic writing experience. It expanded quickly from there and I love hearing what others have to say about the same issues I face each and every day. 2 - Do you have any pets? If so, what kind? Where I live - No. But my parents look after my dog Ollie. 3 - What is your favourite thing about your job? I love kids, and I love stationary. Being a teacher is the best of both those things. 4 - What is your favourite de-stressing activity? I'm working on making it going for a run. 5 - How do you spend a typical day off from work? 6 - What is your Favourite City? 7 - If you could eat only one food for the rest of your life, what would it be? I'm going to go broad and say Mexican. I love nachos. 8 - If you had a time machine, what would be the first place and time you would visit? I love the little house on the prairie books, and would love to meet Laura Ingalls Wilder. 9 - What movie would you like to see have a sequel or a remake? I'm normally disappointed by remakes, but I would love to see some of the old school Disney movies given a revamp. 10 - If you could choose and book, TV show, or movie character as your new best friend, who would you choose? 11 - What one song would you never want to hear again? Oh my gosh there are so many songs that I can't stand. The one I never want to hear again is a bit controversial. The kids at my school NEVER sing the correct words to our National Anthem and it drives me CRAZY!!! More so because the teachers just can't be bothered teaching them the correct words. (most of our kids are ESOL, so I don't blame them). I NEVER want to hear my National Anthem butchered again. Now to the fun part!! Here are the people I nominated. I nominated these blogs because I enjoy reading what they have to say, and I think you should read them too! 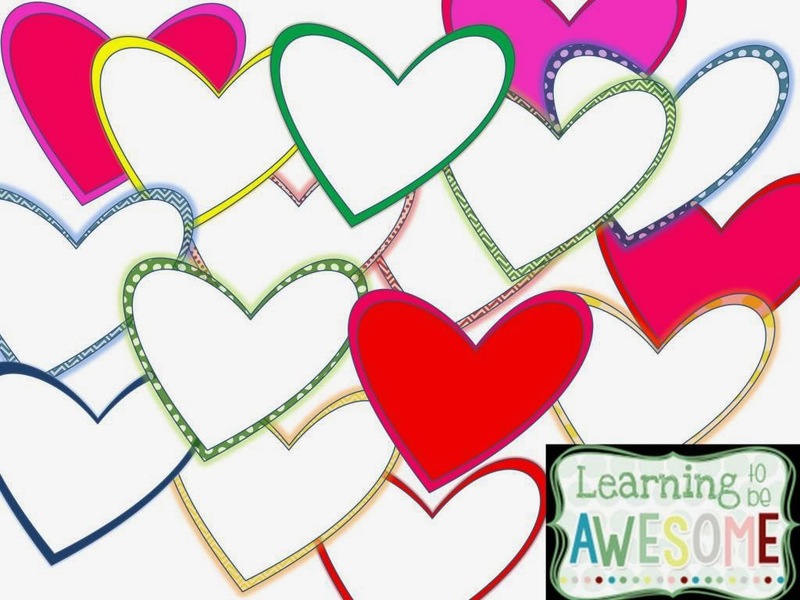 What is the one thing that makes you Awesome? Are you still friends with anyone from when you started school? What is your favourite summer must do? Would you ever become a ninja? 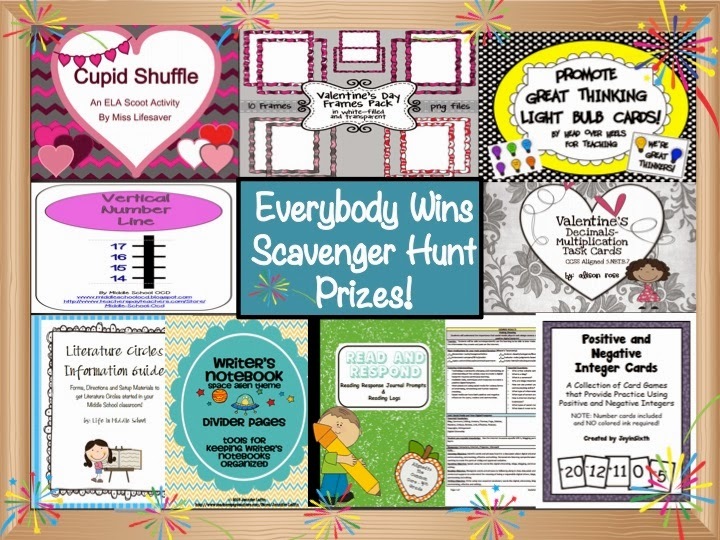 Pin it to win it - and some before pictures! Favourite teachers, and a few winners! Resolutions - totally nailing them! Resolutions, goals, and currently - Oh my!